Manipulated yarn patterns according to fabric type with guides needles and fine-tuning functions. Oiled machine replaced defective machine parts and performed other routine equipment maintenance. Utilized feeding clamp holder to attach buttons to fabric. 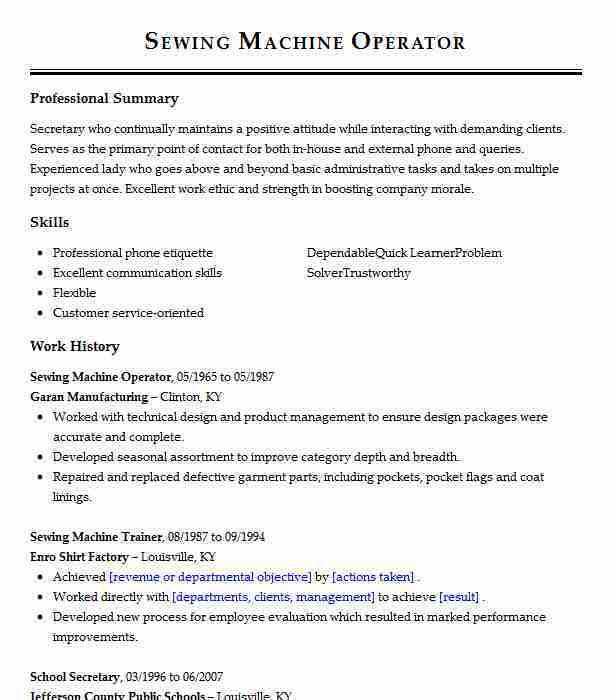 There are plenty of opportunities to land a Sewing Machine Operator job position, but it won’t just be handed to you. 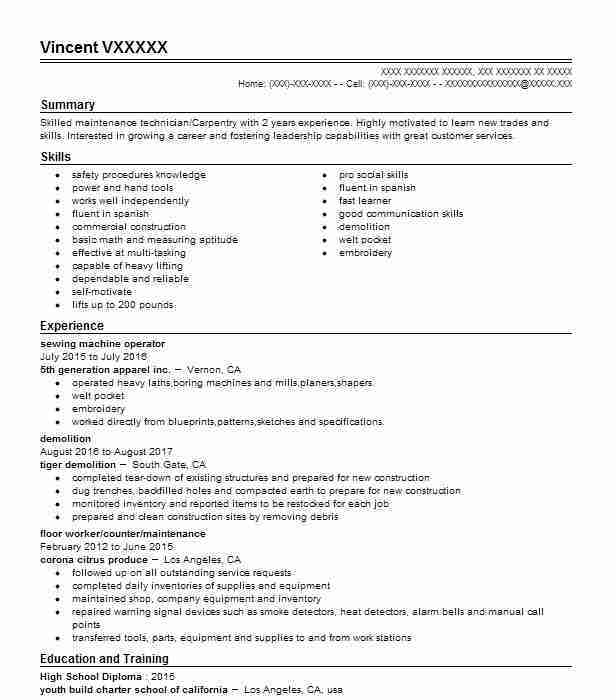 Crafting a Sewing Machine Operator resume that catches the attention of hiring managers is paramount to getting the job, and LiveCareer is here to help you stand out from the competition. 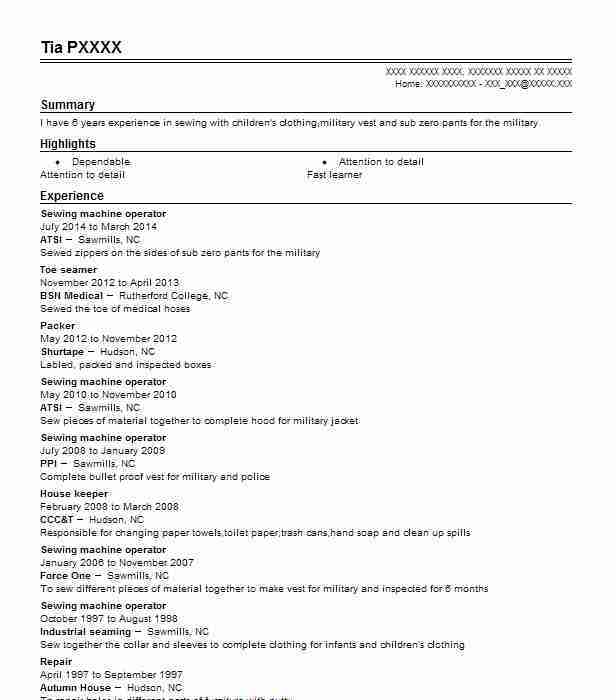 Summary: I have 6 years experience in sewing with children&apos;s clothing,military vest and sub zero pants for the military. 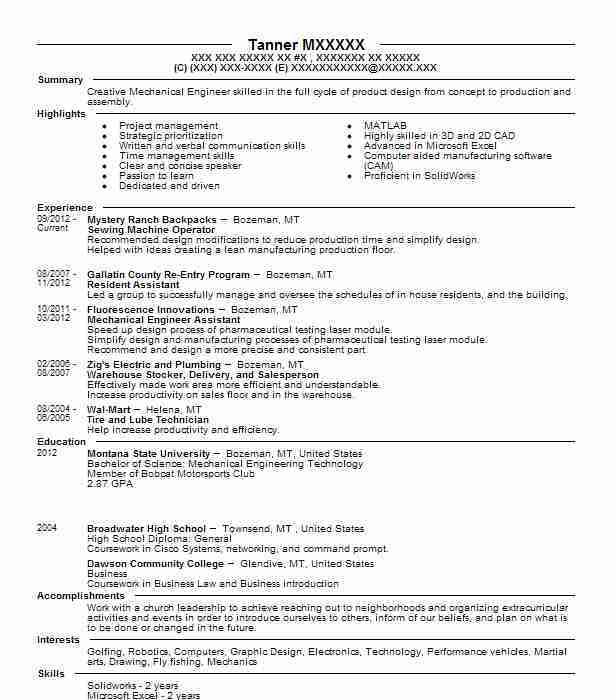 Summary: Creative Mechanical Engineer skilled in the full cycle of product design from concept to production and assembly. 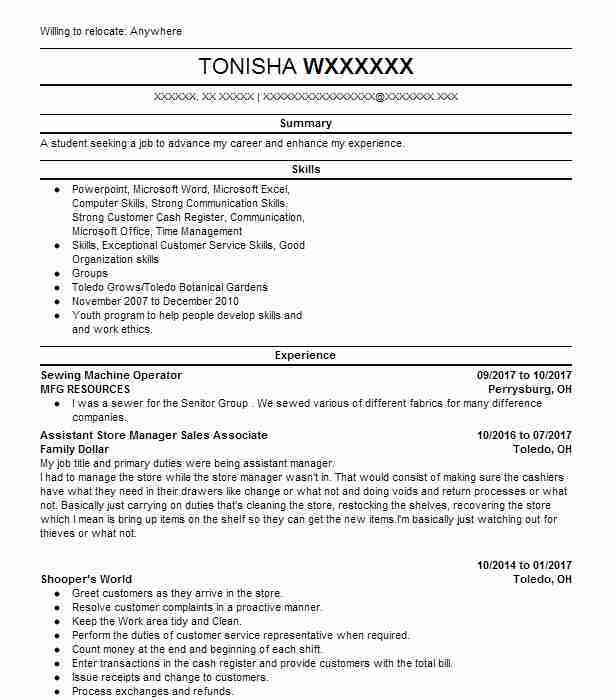 Summary: A student seeking a job to advance my career and enhance my experience. Sewing machine operator @ 5th generation apparel inc.